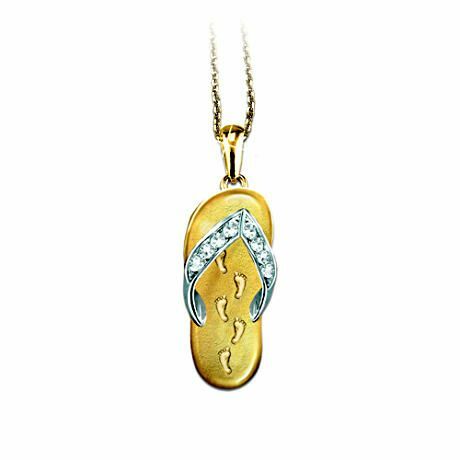 Sparkling Footprints in the Sand necklace is crafted of sterling silver and selectively plated in 24K gold. On the strap are 8 sparkling Swarovksi® crystals, with a line of tiny footprints on the insole. A comforting line from the poem is beautifully engraved on the back.